Notes: 3inch or 76mm Non-resonated (louder) (no mid-silencer) Jetex are a leading supplier of performance exhaust systems. 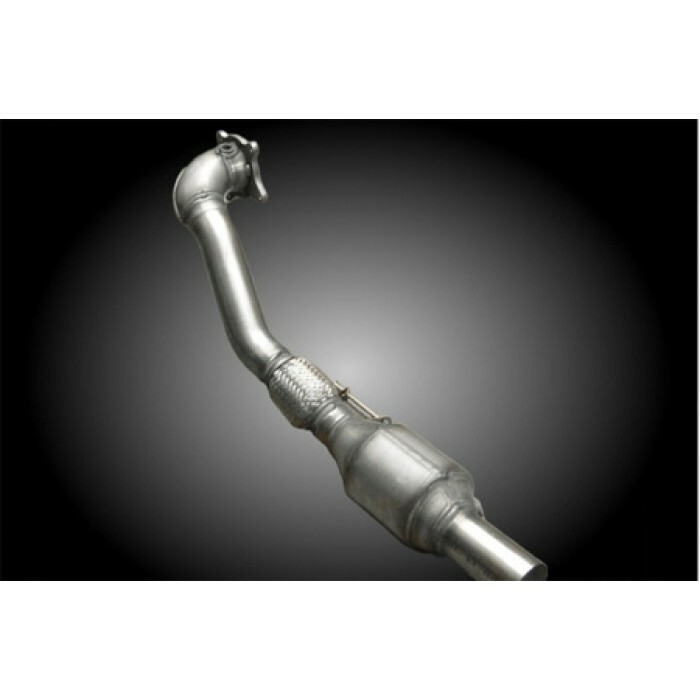 We offer high quality stainless and non-stainless steel exhaust systems for ..
Notes: 3inch or 76mm Resonated (quieter). Spoiler has to be trimmed for extra tailpipes. Jetex are a leading supplier of performance exhaust systems. 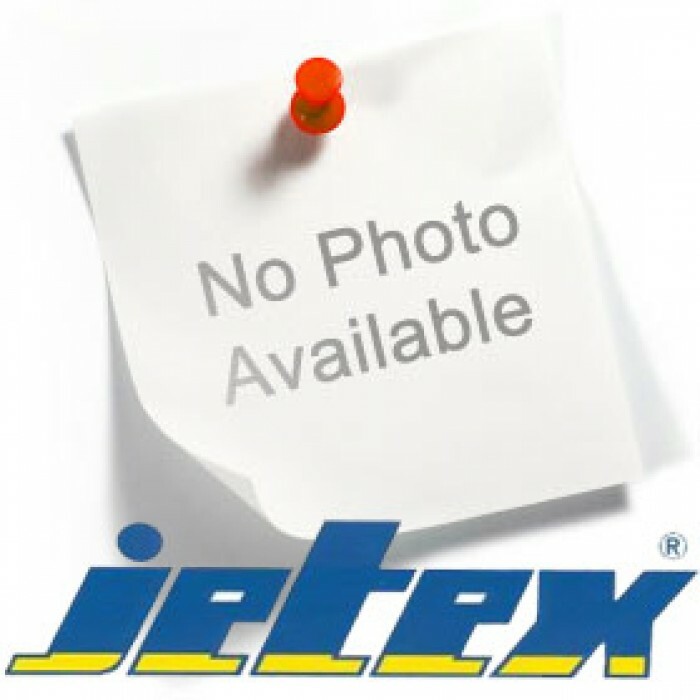 We offer high quality stainless and non-stainless..
Notes: 3inch or 76mm Resonated (quieter) Jetex are a leading supplier of performance exhaust systems. 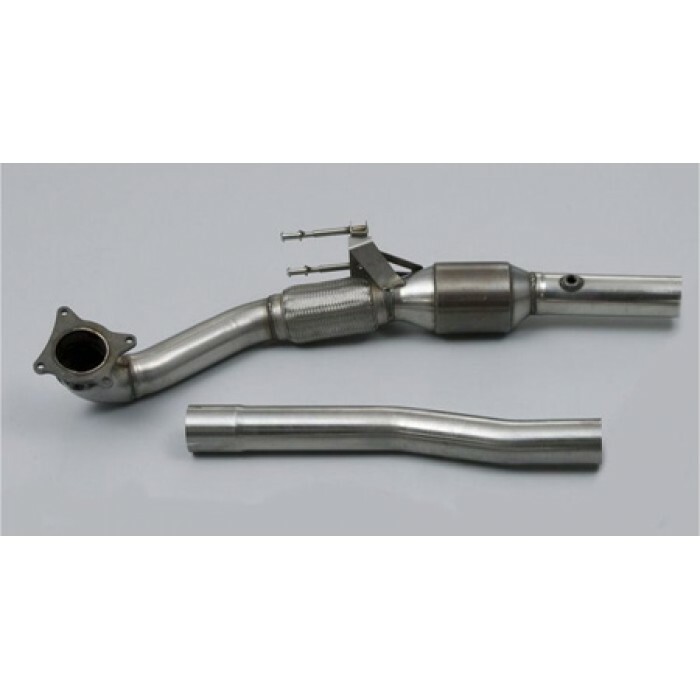 We offer high quality stainless and non-stainless steel exhaust systems for many popular makes an..
Notes: 3inch or 76mm This downpipe is not E-marked (Type Approved). To be used in conjunction with a Stage 2 Remap. 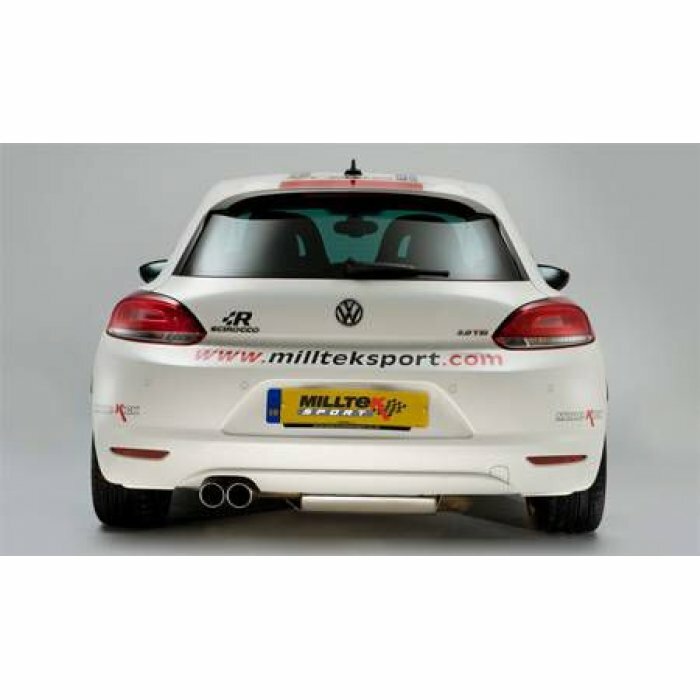 Jetex are a leading supplier of performance exhaust systems. We offer high quality ..
Notes: 3inch or 76mm This cat is not E-marked (Type Approved). To be used in conjunction with a Stage 2 Remap. Jetex are a leading supplier of performance exhaust systems. We offer high quality stain..
Scirocco R-style (requires Scirocco R rear bumper) with Polished Oval Tips Milltek Sport performance exhausts have a genuine performance edge - noticable power gains, sounds that are truely awesome, ..
Scirocco R-style (requires Scirocco R rear bumper) with Gloss Black Oval Tips Milltek Sport performance exhausts have a genuine performance edge - noticable power gains, sounds that are truely awesom..
Milltek Sport performance exhausts have a genuine performance edge - noticable power gains, sounds that are truely awesome, styled looks that are aggressive but discrete and a feeling of true exhila..
Scirocco R-style (requires Scirocco R rear bumper) with Polished GT100 Tips Milltek Sport performance exhausts have a genuine performance edge - noticable power gains, sounds that are truely awesome,..
Scirocco R-style (requires Scirocco R rear bumper) with Matt Black GT100B Tips Milltek Sport performance exhausts have a genuine performance edge - noticable power gains, sounds that are truely aweso..
Must be fitted with the Milltek Sport cat-back system and requires a Stage 2 ECU remapPipe Diameter: 3.00" (76.20mm) Milltek Sport performance exhausts have a genuine performance edge - noticable powe..
Must be fitted with the Milltek Sport cat-back system and requires a Stage 2 ECU remap - Race Use onlyThe new Milltek Motorsport range is a collection of parts that are either not recommended or not p..
Must be fitted with the Milltek Sport cat-back system and requires a Stage 2 ECU remap Milltek Sport performance exhausts have a genuine performance edge - noticable power gains, sounds that are true..
3-inch Race System. Requires a Stage 2 ECU remapMilltek Sport performance exhausts have a genuine performance edge - noticable power gains, sounds that are truely awesome, styled looks that are aggres..
3-inch Race System that requires a Stage 2 ECU remapMilltek Sport performance exhausts have a genuine performance edge - noticable power gains, sounds that are truely awesome, styled looks that are ag..
Twin 80mm Special TailpipesMilltek Sport performance exhausts have a genuine performance edge - noticable power gains, sounds that are truely awesome, styled looks that are aggressive but discrete and..
Scirocco Non- Resonated (louder) cat back systemMilltek engineers have had to call upon all of their many years of experience on this particular product to create a catalyst-back system that not only .. Gloss Black Oval TipsMilltek Sport performance exhausts have a genuine performance edge - noticable power gains, sounds that are truely awesome, styled looks that are aggressive but discrete and a fee..
Dual 100mm GT100 TailipesMilltek Sport performance exhausts have a genuine performance edge - noticable power gains, sounds that are truely awesome, styled looks that are aggressive but discrete and a..
3-inch. Requires a Stage 2 ECU remapMilltek Sport performance exhausts have a genuine performance edge - noticable power gains, sounds that are truely awesome, styled looks that are aggressive but dis..
3-inch stainless system and requires a Stage 2 ECU remapMilltek Sport performance exhausts have a genuine performance edge - noticable power gains, sounds that are truely awesome, styled looks that ar..
Twin 80mm Special Tailpipes on this Milltek Stainless SystemMilltek Sport performance exhausts have a genuine performance edge - noticable power gains, sounds that are truely awesome, styled looks tha..
Milltek engineers have had to call upon all of their many years of experience on this particular product to create a catalyst-back system that not only offers many of the features that you expect from..
Dual 100mm GT100 Polished TipsEC/EG Approved system for euro useMilltek Sport performance exhausts have a genuine performance edge - noticable power gains, sounds that are truely awesome, styled looks.. 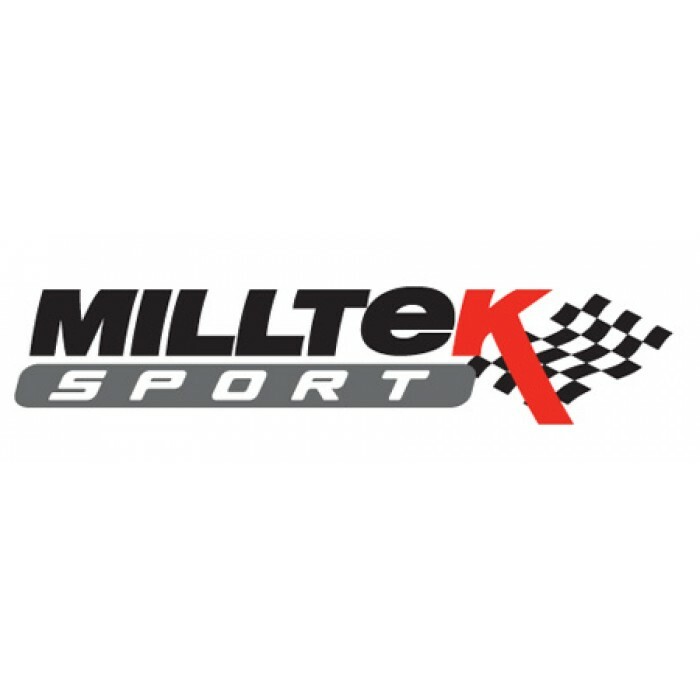 Gloss Black Oval Tips EC/EG Approved for Euro useMilltek Sport performance exhausts have a genuine performance edge - noticable power gains, sounds that are truely awesome, styled looks that are aggr..